Israel’s Ministry of the Environment is struggling to rectify the nationwide soil and groundwater pollution from gas stations discovered over a decade ago. Meanwhile new reports show that the leaks are still causing pollution today. The original reports revealed that almost half of Israeli gas stations were leaking fuel. According to more recent reports, only 38% of gas stations were clean of contamination. 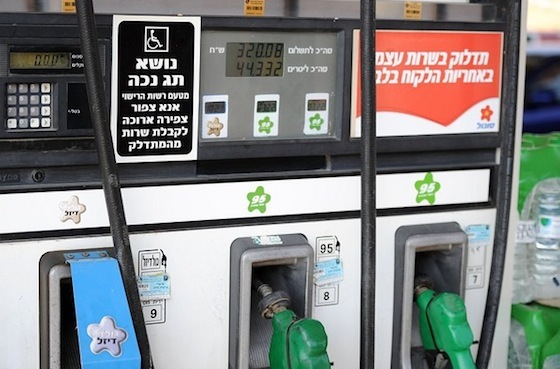 The reports said that around 200 gas stations across Israel, out of a total of around 1,500, are still leaking. Data was either unobtainable or unavailable from the rest of the surveyed gas stations, due to lack of testing over the past five years. The Ministry believes that gas companies are still systematically hiding underground tanks and pipes and not conducting proper tests, as they were accused of doing in 2010. Sonol and Delek Israel released statements asserting that they have addressed the leaks, are continuing to invest in cleanup efforts, and adhere to the directives of the Ministry of Environmental Protection. Representatives from the company Paz declined to comment.